It has been a month since Space Engineers was released on Steam Early Access and it’s a good time for some recapitulation. Space Engineers has sold over 100,000 copies in the first 3 weeks and was also featured on the Steam Top Sellers. The development team has been very busy implementing new features – some of them were already released in weekly updates, but some features need more development time and will be released in the following updates (multi-player, manual building, tools, etc.). The community has participated in a survey for the most wanted feature and the results were not surprising: 44% voted for multi-player, 24% for survival and 10% for 64-bit version of the game. 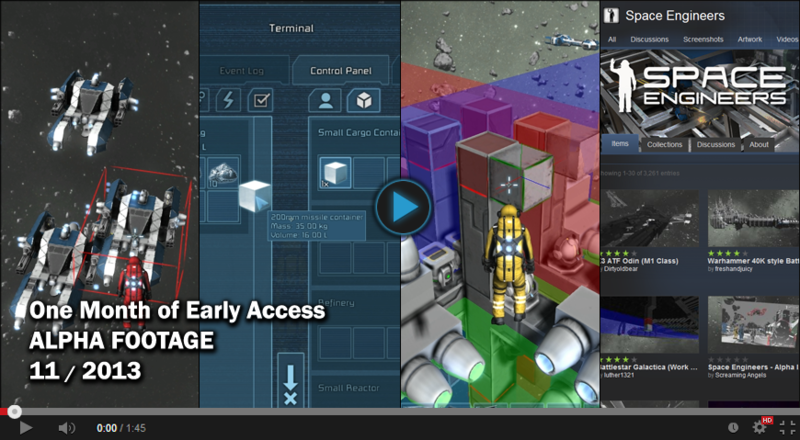 For more details on the development of Space Engineers, read Marek Rosa’s blog: http://blog.marekrosa.org.